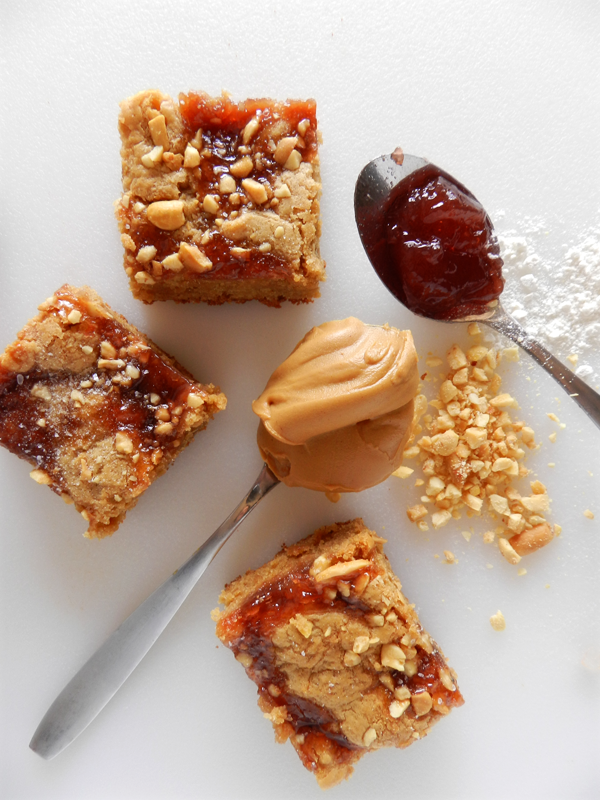 While most people associate their favorite comfort foods with mashed potatoes, macaroni and cheese or some other home-cooked meal, I'd have to say peanut butter and jelly sandwiches have to be one of my favorites. Although I don't typically eat them very often, every once in a while I have a craving for this lunchroom staple, which is why when I spotted this recipe in the latest issue of Bon Appetit, I knew I had to give it a try. 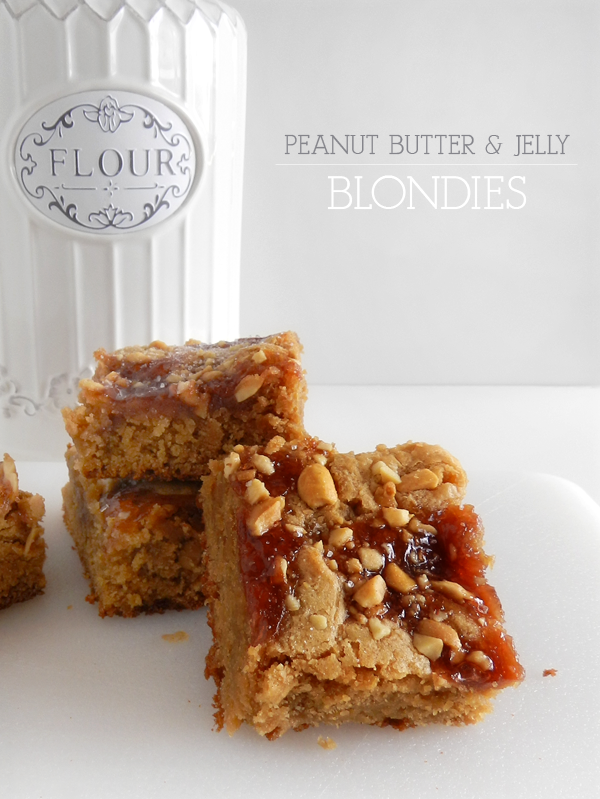 I'll warn you now, these blondies combine the perfect balance of sweet and salty making them dangerously good. 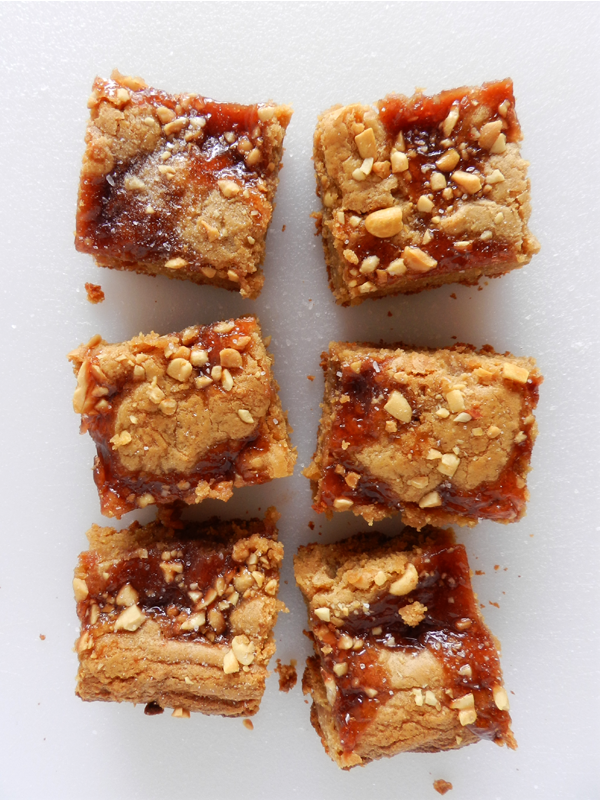 I mean seriously, peanut butter and jelly in dessert form? Does it get any better?